Sorry I'm running late on posting for the week...but better late, then never! Loved this because it's totally my colors...but loved it even more because she shows you how to create this step-by-step and trust me, it's got to be cheaper then the ones I've purchased at Swiss Days (wink)! Those of you that know me and follow this blog know that I love fabric and paper flowers...and being the collector of papers and such I love them for paper crafting and scrapbooking even more. Well the very amazing Little Birdie Secrets blog featured a couple of video tutorials recently that I couldn't resist sharing. These little darlings were created by my VERY talented friend Janet. Regretfully she's a little technology shy and I've yet to talk her into selling these on Etsy or a blog...maybe you could offer her some encouragement. Otherwise the only way to get your hands on any of her amazing creations is to visit local boutiques. These gems are sold over at the Pleated Poppy website and each covered notebook comes with a composition notebook and is removable to replace the notebook once it's filled. The book closes with a button and elastic closure and has a pocket on the inside flap for pens/pencils. You know me, I love a cute notebook!! 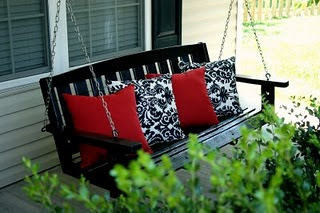 Porch SwingIf I had a porch this is the swing that would be there! I found this on Little NannyGoat Blog and she shows a before and after picture. It's amazing how much a coat of paint and cute pillows make a project work!! Last Weeks Blog WinnerCongrats to Tammy Blaisdell...she was selected using random.org to make it FAIR! And lucky for her only 8 people left comments...although many friends and fans contacted me directly to tell me they DO READ my blog...but apparently don't know how to leave comments for drawings (we'll work on that). 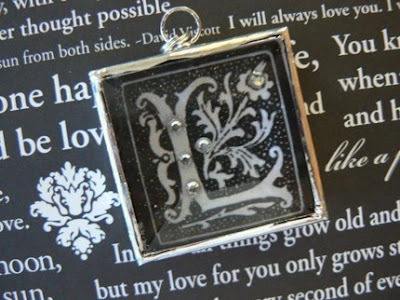 Anyway, Tammy I'll drop by your cute notebooks and surprise jeweled keychain (you'll love it - or you can regift it). A friend of mine asked me the other day what my favorite project was that I'd ever created and although there have been many, there is one that I still go back to years later and love! she asked me to post it, so the rest of you get the benefit of seeing this too. It's a mini album that I created with a 4x6" board book album that tells all about my daughter turning 8 years old. So it's been about 5 years since I created this...and I don't want to redo it (good sign for a scrapbooker). 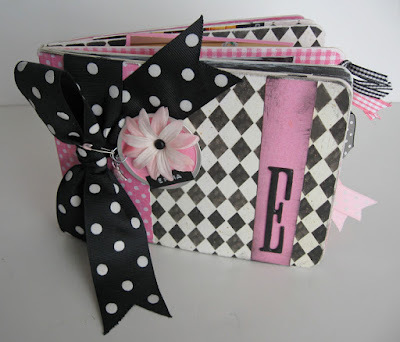 What was your favorite thing you ever scrapbooked??? If anything, you at least know what week we're on for 2010 by visiting me blog each week...ha, ha! I've really enjoyed doing this each week and hope that unlike me Project 365, that soon became Project 52 and then Project 12...that I stick with it throughout the year. 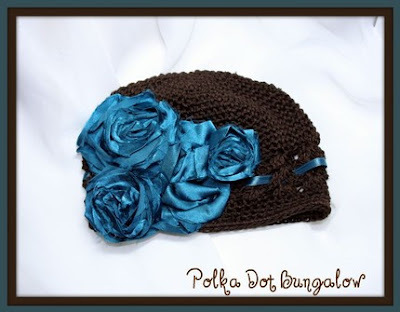 I'm always online checking out crafty people that I should at least pass along the great things I find. And to prove that I actually have people reading my blog, I decided to offer a give away on todays post and everyone IS ELIGIBLE!